So, you’ve got a baby on the way. Congratulations! It’s a really exciting time, but it can also be daunting and nerve-wracking. There’s so much to prepare for – the birth, things to buy like prams and car seats and all the rest! Plus, to top it off, you need to get your home ready for a brand new member. 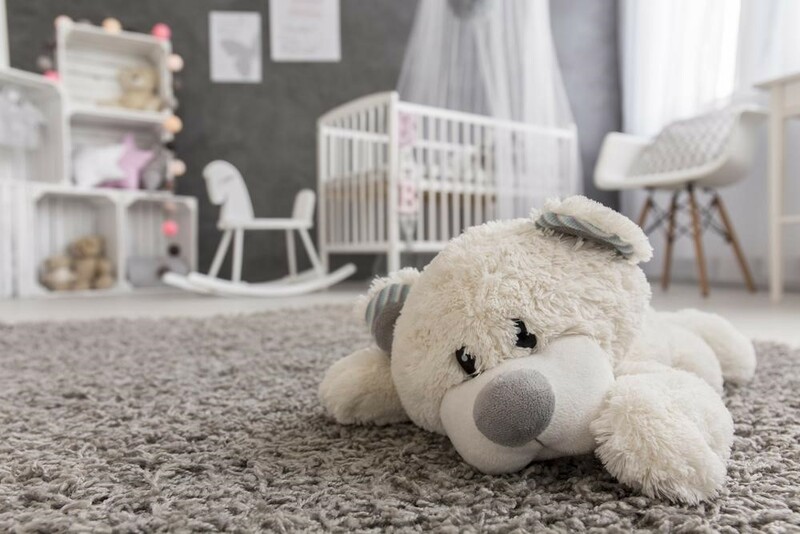 Let’s try and take some of the stress out of the situation by sharing seven tips for setting up your pad for your little one’s arrival. Trust us, you’re going to need some storage space. Newborns churn through clothes like there’s no tomorrow – as there’s a lot of vomit, poop and pee to clean up. You’ll need to tuck away their winter clothes in summer and vice versa. That’s why it’s worth investing in some large plastic containers to store everything in. If you’re a bit pressed for space, get creative in where you stash them. On top of cupboards, under beds and in the corner. You’ll find some room! Newborns need a lot of sleep. At first, it’s going to seem like they sleep more than they do anything else! But as you probably know, it can be difficult getting to sleep when there’s a lot of light. So, get some blackout blinds for your nursery. Hot tip: You can use a dark sheet in a pinch, or put some cardboard over the window. Chances are you’re both going to be very busy caring for your baby in the first few weeks of getting home from hospital, so it’s a great idea to start stocking up on necessities now. Get plenty of toilet paper, toothpaste, personal hygiene products and other things that you’d usually just nip down to the shops for. You want your nursery to be a warm, calming and inviting space that your baby will just love to be in. There’s a fine line here, as too many decorations and colourful hanging things can prove overstimulating for babies. A few colourful stickers or a single mobile should do the trick. Use subdued, calming colours for your paint scheme. You’ll need to make some room to store breast milk or formula and to pop all those tasty meals that friends and families better not arrive without bringing! You’ll also need some space for any medicines or supplements your baby may need in their first year or two. Sorry dad, but that twelve pack of beer may have to go. Sooner rather than later you’re going to be doing a lot more washing. As we mentioned earlier, babies go through clothes at a rapid rate, and you’ll be washing yours a lot more too as you will be getting dirty far more often as well. Make sure your laundry is a lean, mean efficient machine before the bubba comes. Once your bundle of joy starts to crawl, it’s time to baby proof the space. Ensure all cupboards that contain dangerous chemicals are locked shut with a baby proof catch, and cover those powerpoints. You can get helpful baby proofing kits from most baby and hardware stores. What are you waiting for? Start now – ensure you have adequate storage, blackout those nursery windows and get decorating. Also, stock up on essentials and clear out that fridge. Finally, organise your laundry, and consider buying a baby proof kit. And most of all, cherish these years – because you’ll have a moody teen stomping around before you know it.